AFP/„Scanpix“ nuotr. / A court in Birmingham. There are 68 qualified Lithuanian language translators currently working in the UK. 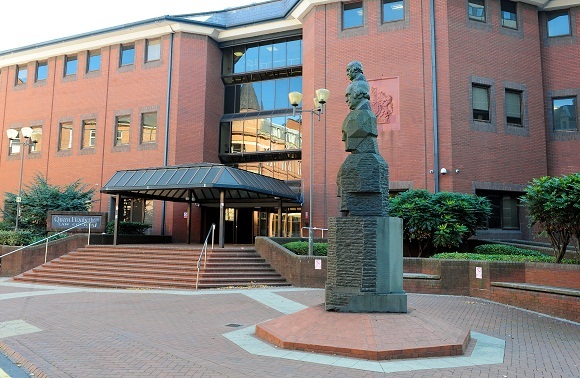 In the beginning of March, Ipswich Magistrates' Court spent an entire day waiting for an interpreter and was finally forced to resort to Google Translate in order to communicate with a Lithuanian defendant who did not speak a word of English. “We hope he understood, but as none of us spoke Lithuanian, we can't be sure,” defending attorney Andrew Cleal told the Law Society Gazette. There are 68 qualified Lithuanian language translators currently working in the UK. Irina Jefremova, who has been living and working in Birmingham for the last six years, is one of them. The Lithuanian national has graduated from Vilnius University with a degree in English philology and later took a special translators' course in England. She passed exams and now has two certificates allowing her to interpret for public institutions – in areas related to health and the English law. Jefremova, 27, has been working as English-Lithuanian-Russian translator for five years, assisting various public healthcare services and law enforcement institutions. She thinks that the rules that were in effect until recently were rather reasonable. pounds of public funds a year (of the 60 million spent on interpreting services) and signed a five-year contract with the Ministry of Justice. The agency now supplies interpreters to all UK public institutions. “ALS convinced the Ministry of Justice that it had enough qualified interpreters by saying that everyone in the Register agreed to work with them. But in fact, we were not even contacted and asked if we wanted to work through this agency,” the Lithuanian claims. Qualified interpreters, unsatisfied with the new rules, refuse to work with ALS. Not even do they not respond to calls from the agency, but even when contacted directly. According to her, UK-based Lithuanian interpreters have set up a Facebook group where they exchange views daily, discuss further steps, share information on direct offers from institutions. At the moment, Jefremova works for the National Health Service and does translations in writing. “But I will certainly not work for courts or any other law enforcement institutions,” she underscores. Professional interpreters displeased with the new system have set up a website www.linguistlounge.org where they post news on the new system, the chaos it causes, and resulting anecdotes in courts. ALS resorts to similar tactics, she says. “They prepared a three-sentence announcement that they use for all occasions. The gist of it is that everything is all right, except for a few minor hiccups,” Jefremova says.